Okay, so I have said, I now have a central coin-purse that is the catch all for all of the coins generated from any and all of the other wallets. I have another coin purse for my laundry, this one is just for spending. 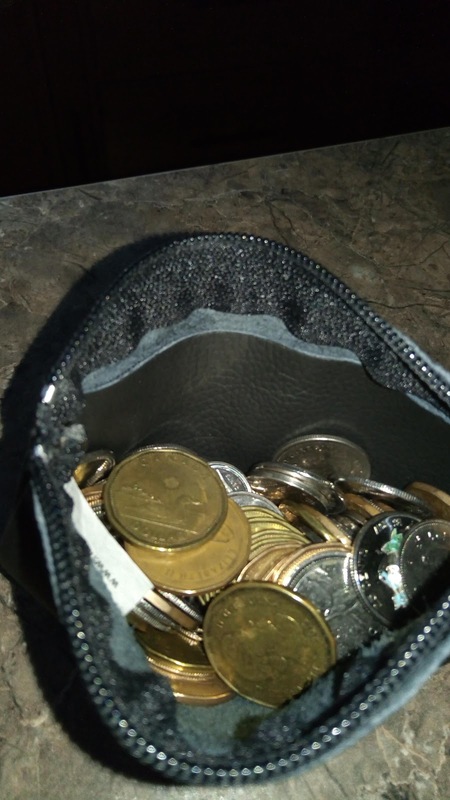 This way I have one coin pure shush-fund to help prevent unnecessarily cracking of bills in each of the wallets. 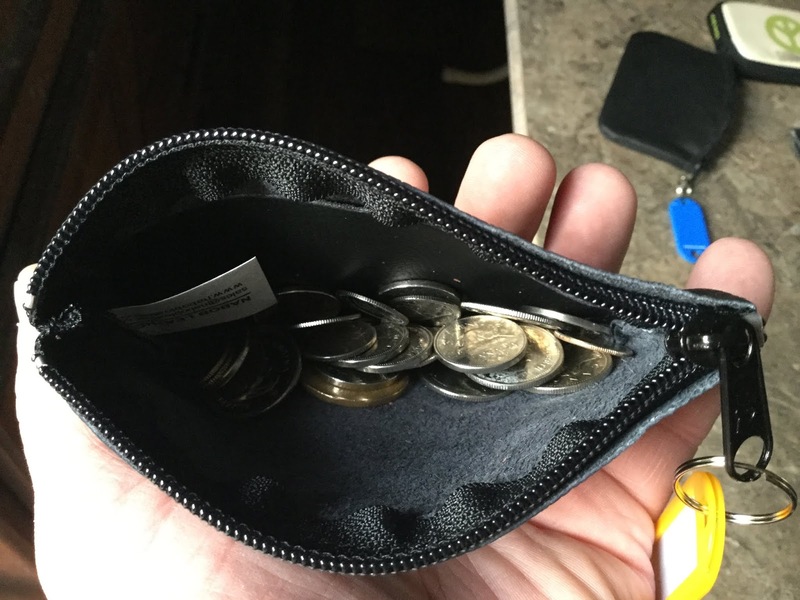 It also prevents me from having pockets of coins in each wallet. This way, there is one place where all of my coins gather and I can raid it if I want to in order to prevent spending in any one of the wallets (for small purchases). This is what it looks like on its own. 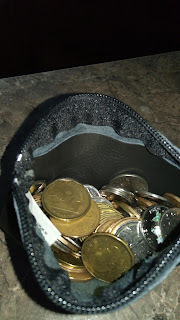 I decided that in order to help get it going I would put a roll of quarters and a roll of loonies in there, just to get it going as a viable slush fund. Here is what it looks like now, after top up. I don’t plan on doing this often, if ever again, as any time any coins are generated, they go in here. It should pay for the odd cup of coffee or that loaf of bread which will help me stay on budget and not crack another bill in each respective wallet. The plan is to help keep my spending down, yet still be able to function. So far, it is working rather well and doing its job.